Holy Moly! Let hope you don't have the problem like in the above picture, but if you do call us asap and we can help. Very rarely does everything go right at the same time. 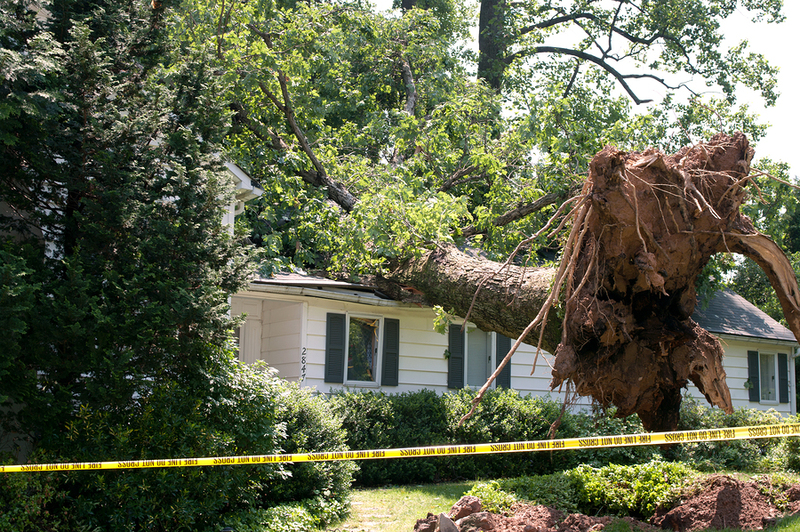 Like a tree or large limbs landing on a house, car, or in in the middle of your driveway These situation are example of everything going wrong at the same time. So if this is you please don't hesitate to call us so we can take care of your problem. Call us ASAP! so we can get out there first thing in the morning. It's not good practice to be working with heavy equipment without sufficient light. Tree Trimming Tree Removal Stump Removal Emergency call ASAP!